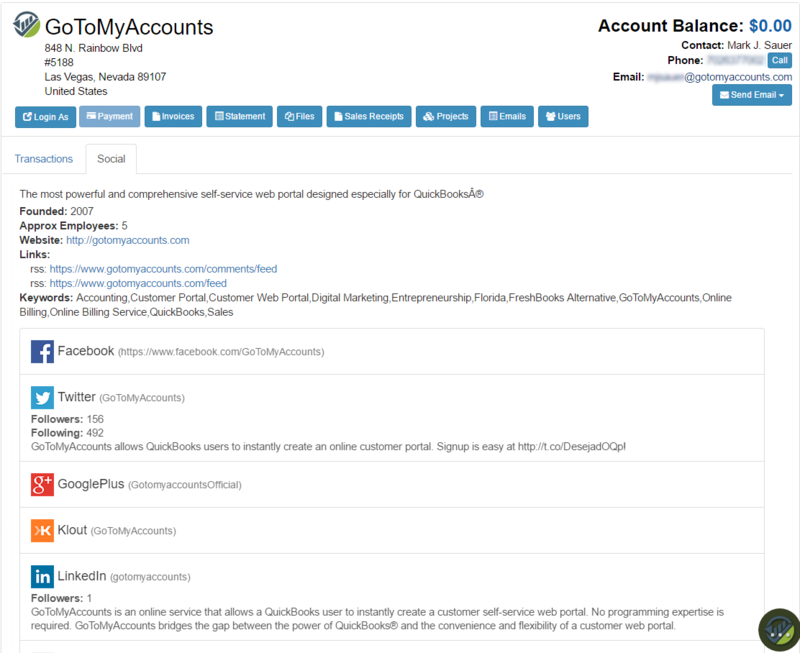 Once you have set your FullContact API key, you will see data populating inside a new customer tab called "Social". With the current integration, we pull in organization data as well as Social Media data/links. We will display whatever data is available from the FullContact API. The way that we query data on a company is we fetch the domain from the primary user on the account and then do a lookup based on that domain. Similarly, we are able to perform person lookups based on a user&apos;s email address. We will begin using that part of the API to display data about customer users and contacts. Setting the FullContact API key in your portal is easy. Just click on the Settings menu, and then click on the item "FullContact Settings". Set the API Key field and click "save". That&apos;s it. The "Social" tab will now be activated in your portal.